Spiel is over for another year. In fact it was over a couple of weeks ago, but this post has been stuck in draft for a while – but better late than never, I suppose! If you’ve not come across it before, Spiel is the huge board game trade fair held in Essen, Germany each year. There are two big selling points for me on this one. The first is board game designer, Friedmann Friese. Freise is the creator of Power Grid, Copycat and Bohnanza amongst many other games. Power Grid is a firm favourite in our collection, despite making my poor brain hurt and occasional bouts of analysis paralysis! The second is the game’s premise. 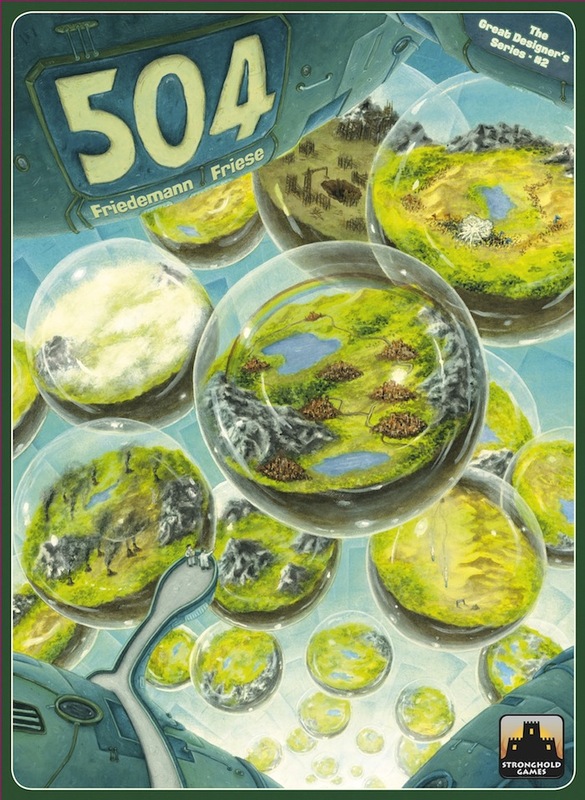 To explain why I’m so excited about 504 I need to take a small detour via Copycat, Friese’s 2012 release described by boardgamegeek.com as a ‘deck-building, worker-placement, drafting race game. Sounds daunting, I know! Copycat uses the deck building element of Dominion, the worker-placement action selection and round structure from Agricola, and Through the Ages style card drafting. These mechanics are all very deliberately borrowed, with permission, from the designers of the original games in question – as explained in a letter from Friese included in the game box – and are seamlessly squished together to form a great game. At the time I was fascinated by the idea of fitting together all these different mechanics into one uber-game and somehow making it work. The order you combine them in is apparently important too, so game 1-2-3 would be different than game 3-2-1. 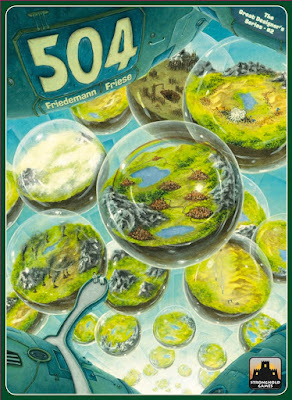 The game’s name, 504, comes from the number of possible games you could create from the set (9 x 8 x 7 = 504). It feels like Friese took the Copycat idea and turned it up to 11, so I’m excited to see how all these ideas come together. Stripping board games down to their bare mechanics might take away from the fun for some people, but abstraction is where this all began. Personally I think it’s a clever, ambitious idea and an interesting experiment. Yes, some of the games are probably going to be less solid than others and no, you’re never going to play all 504 of them, but I can’t wait to see how it works out. I want to try game 1-2-3, try game 3-2-1 to compare, then see what everyone else thought. I think it’s a conversation starter and a thought provoker, so I really hope I’ll get to try it out soon. On a slightly less cerebral note, it also sounds like a game that would need a lot of components, and anyone who knows me will know how excited I’ll be about punching out tiles and sorting tokens! The original version of Pandemic was, I think, the second ‘modern’ board game that I ever played (after Settlers of Catan). It was my first ever co-operative game and played a major role in causing my subsequent descent into cardboard addiction. The ‘legacy’ model evolves the game during each play-through, with actions in one game causing changes in the next. You play each time with the same group, and each game you’re given more information, pieces or cards from secret packets which help to develop a unique narrative over the course of your games. But now they’ve applied this interesting mechanic to a game I love, do I want to try it out? Well, I know I like Pandemic, so that’s a great start. I’ve played the game to death over the years, so a bit of a shake-up would definitely be welcome. Then there’s finding a consistent group – that’s a bit tougher, as I know lots of people who love Pandemic but they’re not all in the same place at the same time. 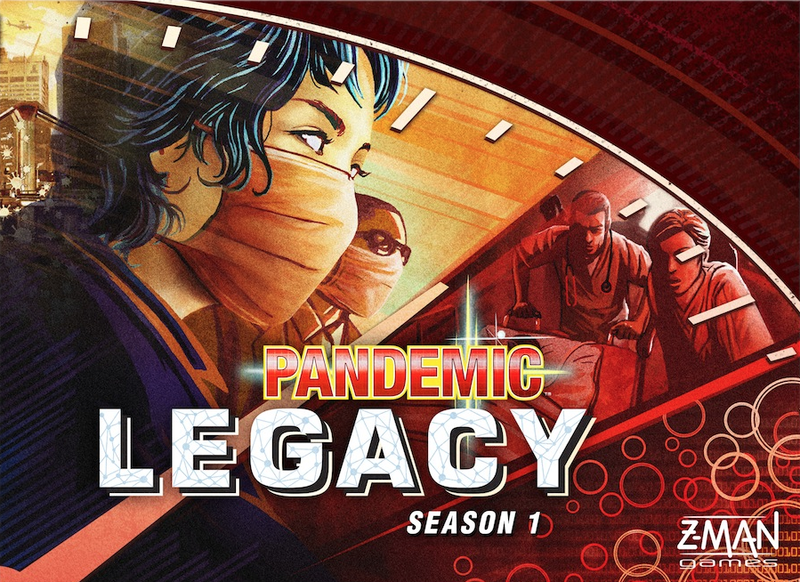 Maybe I need to hold some sort of Pandemic weekend! I like to collect games as much as I like to play them (odd, I know), so the thought of basically destroying the game as I play it is a little jarring – but I’ll have to work on that! Pandemic: Legacy sounds amazing. Will I buy it? I hope so. Will it sit on the shelf waiting for the right kind of opportunity to play it? Maybe. But I hope not. This could be so much fun if I just put in some effort on the logistics! Okay, I’ll admit it. This one I was mainly drawn to by the box art. I know I should never judge a book by it’s cover, but look at it! Shiny! Then I realized it was time-travel themed and the sci-fi fan in me did a little backflip. Described as a ‘decksploring’ game, T.I.M.E Stories is a co-operative game where the narrative unfolds as you progress through a deck of cards. 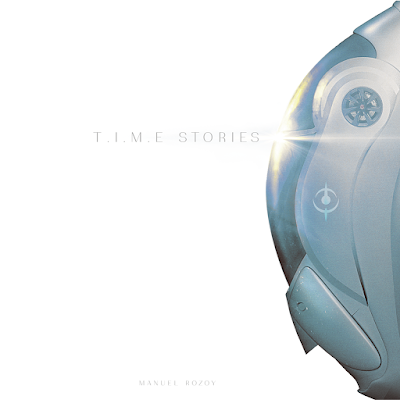 Players work for the futuristic T.I.M.E agency, sent back in time (by inhabiting the bodies of people from that period) to prevent paradoxes and stop ‘temporal faults’. Is anyone else thinking that this sounds like Quantum Leap? I’m having a hard time finding a coherent definition of what on earth ‘decksploring’ means, but essentially each card tells the story as it gets ‘explored’ and presents clues, puzzles or tasks to help accomplish the mission. Players’ actions are limited by units of time, so when you inevitably run out of it (being a time travel game) you can figure out what you did wrong and start again, a bit like Groundhog Day! The base game comes with only one scenario, set in an early 20th century asylum (sounds creepy and awesome already), but if it’s popular this game has the potential to be expanded with as many scenarios as people will buy.